Despite the efforts made in the safety of children on the road, the truth is that traffic accidents remain the leading cause of infant mortality (children aged 0 -14 years). That is why child road safety is a priority area. And is that 75% of road accidents could be avoided by properly using safety systems in the car specially designed for children. Today, almost 90 percent of children use safety seats, however, the concern is that almost 40 percent of children who died in traffic accidents were not using any security measures in cars. 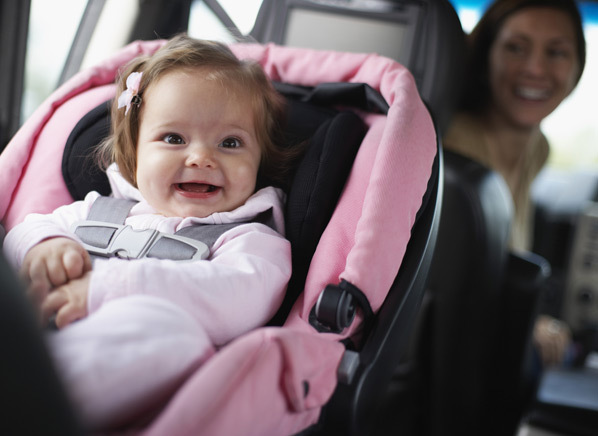 The seats or safety seats for infants and children are the most effective measure to combat traffic accidents. Therefore, to protect the lives of babies and children requires the use of child safety seats in the car. The car seat is the most suitable for traveling with the child on the road, because it ensures containment, protection and better retention in case of accident instrument. This is because each seat, despite having different sizes depending on the model, has a shell structure proportional to the size of the child, belts built for smaller and specific protections in the event of side impact. The car seat belt alone is not an adequate and safe instrument for a child, because it is designed specifically for adult safety. Most of the car seat offers the possibility to regulate the form and containing parts according to the stages of development in the child’s growth. There are also depending on the types and models available in commerce, various solutions that can regulate the height, width and inclination (backrest, headrest and / or armrests). These regulations aim to ensure the child is always the best protection at all times in its development. The choice of car seat should be evaluated based on the weight of the child. European legislation divides the weight groups Weight, ie weight ranges where the car seats are classified. Each seat is designed, is approved and manufactured with this benchmark.